One method of the Charlotte Mason way is nature studies, and they are a perfect opportunity to get some outdoor time, while allowing your children to learn how to observe and learn all about the world around them. There are so many benefits when you study nature as a family, even if your children are spread apart as much as ours. 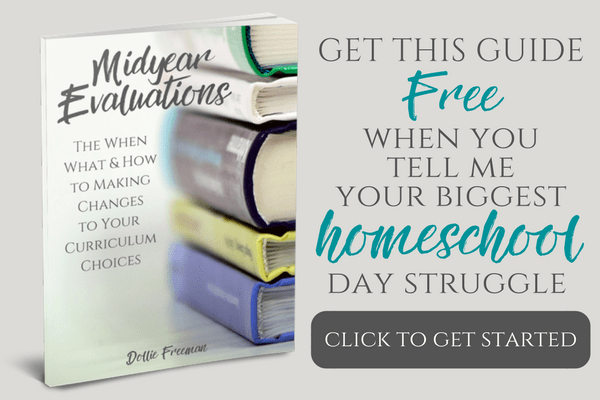 Many homeschooling mothers are worn out when they attempt to get all the subjects done with all of their children and their different subjects. When you study nature as a family, you can really eliminate the need to have separate subjects and divided attention. Having time together as a family is always a good thing and something many families strive to do on a normal basis. Many of the ideas are something that they would spend a lot of money to do, but when you study nature as a family, it is as simple as walking at a nearby nature trail or maybe just time in your back yard. Many families do just this, but are they taking time to study nature as a family or just get some exercise in the open area? Not usually and they are really missing out on a wonderful time together! Take a camera on the walk – Many children today love to take digital photos and there are so many benefits in nature to really capture the things around you. Go with a plan – If you know that there are great things to see where you are heading, be sure to talk about what to look for when you have arrived. If you already have some knowledge of the nature you are going to see, be sure to share it naturally when you are walking together. Go without a plan – Many wonderful things are waiting to be observed and noticed all around you. Impromptu walks are wonderful ways to study nature as a family and gain inspiration for the things that thrive in your area. Don't be afraid to say, ‘Look at this!' while admitting that you have no idea of what it is. Having a camera on hand is a perfect way to capture what you find and learning more at home. Read about nature together – I love to read great books about the creation around us and open the wonder of our children's minds. Having a good collection of books are always a great way to deepen your family's knowledge of nature together. Another great resource is Simply Charlotte Mason that offers a large collection of nature study resources, among other things. 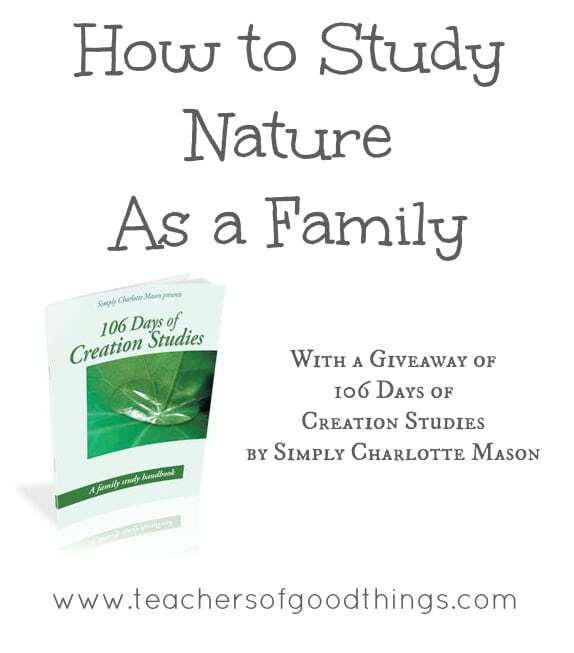 One of their books is 106 Days of Creation Studies, which is a great way to study nature as a family. It is geared towards grades one through six and can easily be done together as a family. This award-winning book includes living stories, nature study, science experiments, Bible verses and other assignments to help your family study nature together. 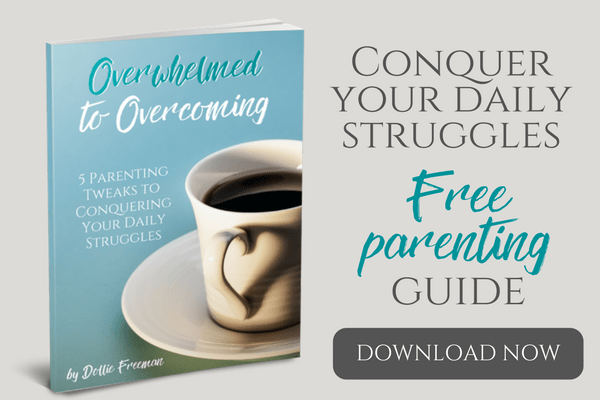 One of my readers will receive a free e-book from Simply Charlotte Mason when you enter my giveaway! Winners will be drawn on Friday, June 14th and notified by email. The winner will receive the details to receive their free ebook from Simply Charlotte Mason.